In October 2015, the government of Kazakhstan announced the largest privatization of state-owned companies since the country became independent in 1991. In all, 65 of the largest Kazakh state-controlled companies in the oil and gas, transportation, and nuclear sectors are to be sold off between 2016 and 2020. As state assets represent 40 percent of Kazakhstan’s GDP, privatization is expected to create a need for billions of dollars in foreign investment. Kazakh officials have already been active in courting investment commitments from foreign investors, and building ties by committing its sovereign wealth to U.S.-based private equity firms. At the World Economic Forum earlier this year, Kazakh Prime Minister Karim Massimov announced that development of the Astana International Finance Center (AIFC)–an intended regional financial hub modeled after Dubai–would coincide with the prospective timeline for the IPOs of various state-owned companies. President Nursultan Nazarbayev also recently held meetings with executives from U.S. private equity firms KKR, the Carlyle Group, Blackstone Group, and TPG during his last visit to the United States. The decision to privatize was precipitated by both political and economic factors: the country’s export-driven, hydrocarbon-based economy suffered greatly amid crashing commodities prices, and mismanagement of its currency exacerbated these problems further. While the privatization initiative was welcomed at first as an ambitious maneuver to breathe new life into the struggling Kazakh economy, there are a number of significant political risks, economic barriers, and corruption-related issues that must be addressed before it can become a viable opportunity. With Kazakhstan’s legacy of state control over most industries, privatization of its economy has progressed in jumps and starts since the country’s independence from the Soviet Union in 1991. Forty percent of the country’s domestic economy is owned in whole or in part by the sovereign wealth fund Samruk-Kazyna, whose assets are managed by an elite cadre of government officials. The grip on key industries like railway infrastructure, oil and gas, and uranium mining has been maintained by President Nursultan Nazarbayev in the past largely because it afforded a way to centralize power in an unstable post-Soviet era. The first privatization efforts occurred shortly after independence in the 1990s. Like Russia’s controversial efforts, Kazakhstan’s process was criticized as being non-transparent, corrupt, and socially unfair. Most significantly, state-owned metals companies like Eurasian Natural Resources Corporation (ENRC) and Kazakhmys were sold to offshore British interests closely associated with Nazarbayev’s inner circle. Instead of filling the new government’s treasury with tax revenue from these transactions, a class of wealthy oligarchs was created. More recently the government has been experimenting with increasing public participation in these industries, with the most recent attempt occurring in 2012. These so-called “People’s IPOs” were in fact a complete disaster – the original policy envisioned some $100 to $200 million in investment from ordinary Kazakh citizens, but instead only secured 10 percent equity stakes in two small companies. Kazakhstan’s gross savings rate per capita among its citizenry is very low in comparison to more developed countries – signaling an unwillingness to entrust money to the nascent Kazakh financial system. As a result, it became clear that privatization policies must target international investors in order to raise the necessary capital. However, unlike domestic citizens, who usually have nowhere else to put their money, foreign direct investors redeem their investments rapidly if they fail to realize returns, and are far more cognizant of major risks, both geopolitical and economic. Kazakhstan’s close political and diplomatic entanglement with Russia is one of the primary sources of political risk. As fellow members of the Eurasian Economic Union (EEU), Kazakhstan is in theory subject to sanctions and prohibitions placed on Russia by Western powers, and party to sanctions placed by Russia on the West, although these have never been enforced. Kazakhstan refrained from participating in Russia’s retaliatory ban on EU food products in 2014, implying a reluctance to align too much with the Kremlin’s policies. However, any degradation of relations between the West and Russia, whether due to violence in Ukraine, or the ongoing conflict in Syria, or even more generally in terms of renewed military buildup is likely to weaken the enthusiasm that international investors will have for committing funds. The U.S. Office of Foreign Assets Control (OFAC) has instituted sanctions not only on Russian government officials deemed to have direct involvement in Ukraine, but also on any U.S. firms involved in the sale or financing of goods exported for military end-users in Russia (thus any investment in Kazakhstan’s uranium industry might be suspect). The OFAC also placed restrictions on oil production and exploration equipment sold to Russian firms. The EU’s restrictions are far more lenient, but still ban the sale or financing of goods and services to Russian energy and defense firms. Kazakhstan has had partnerships with American oil majors like Chevron, but it is unclear as of yet how these restrictions will be enforced, if at all. While Kazakhstan has worked hard to distance itself from the aggressive Russian policies that have earned such condemnation from the West, its close relationship alone still guarantees a risk. The success of privatization will hinge on Kazakhstan’s management of its most persistent economic issues. Fluctuations in global oil prices and the changing fortunes of foreign policy, while pertinent to understand context, are issues over which the government has the least amount of control. Its main challenges lie in the need to effectively manage its currency, reform its largest state-run enterprises, and make transparent its core objectives and plans at the highest levels. Oil and gas exports are central to understanding Kazakhstan’s economic growth in the past 25 years. Rising oil benchmark prices and favorable exchange rates allowed for the amassing of considerable state wealth. With some of the richest energy reserves in the world, proximity to centers of global demand like China, and a pre-existing, albeit aging, Soviet transportation infrastructure, Kazakhstan was on track to become an influential global force in energy markets. This state of affairs did not survive a November 2014 OPEC meeting, when the cartel decided it would not cut production as prices fell. This caused oil prices to plummet to record lows, where they have remained ever since. Kazakhstan did not even have a seat at the table during these discussions, but nevertheless believed that the price slump would only slow growth for 2015. This presented a challenge for Kazakhstan as a country whose growth is dominated by exports, to decide whether to keep its currency, the tenge, pegged to the value of the dollar and the Euro, or to allow it to depreciate in step with oil prices. In February 2014, Kazakhstan had devalued the tenge 19 percent but a year later pressure was still mounting. If the tenge was devalued again, the domestic economy would suffer from much higher prices and inflation, but if the tenge remained pegged to the dollar, the National Bank of Kazakhstan would need to continuously spend enormous amounts of its cash reserves to keep the exchange rate at the desired level. National Bank of Kazakhstan officials kept the tenge’s peg to the dollar intact for as long as possible, spending large amounts of their cash reserves, due to political pressure from the president. Nazarbayev was up for re-election in April 2015, and did not wish to give his political adversaries an issue like a devaluation to rally supporters around. The tenge was finally devalued in August 2015 by a record 24 percent, after Kazakhstan had spent $28 billion propping it up. The manner in which the tenge’s devaluation in 2015 was handled is a major source of concern for a government looking to attract significant outside investment. Domestic social media accounts targeted the governor of the National Bank of Kazakhstan Kairat Kelimbetov for promising a month before the 2015 devaluation that there would not be not be another devaluation (Nazarbayev had promised the same ahead of the April election). Kelimbetov was dismissed by Nazarbayev in November 2015 due to his extremely low popularity and status as a political liability, but he has continued to insist that the devaluation was a market-driven decision. More concerning than the devaluation itself was its timing. The fact that the move was delayed to protect Nazarbayev’s political capital ahead of and just following a key election, which he handily won, has made it clear that temporal political issues will trump real economic needs. Additionally, the tenge continues to depreciate against Western currencies, casting doubt on whether the situation has truly been resolved. For foreign investors, exchange rate stability is of paramount importance as large fluctuations can cost a great deal and make the determination of the true value of an asset more challenging. If this trend holds true for the future of the management of the tenge and the National Bank of Kazakhstan more specifically, investors will have good cause to be wary. Foreign investors are unlikely to take a chance on direct investment in bloated state-run enterprises until they can be restructured into more profitable entities. Examples abound of the largest Kazakh infrastructure companies running into cash flow problems, allegations of corruption, and political and social pressures that would have caused complete overhauls of management in private companies under normal circumstances. Kazatomprom, the state uranium mining corporation, has faced significant pressure from the Russian defense establishment on its costs and practices, due to its status as a key supplier of the Russian nuclear weapons program. The National Bank of Kazakhstan was forced to take a 10 percent stake in KazMunayGas (KMG) to keep the company in operation last year, on top of which KMG also had to renegotiate its debt with Vitol, a Swiss oil trading firm, requiring a $3 billion cash advance. State companies in Kazakhstan looking to privatize also suffer from the long shadow of the Soviet Union’s socialist labor and employment policies. Observers of the Kazakh government believe that officials consider it time to jettison the crushing commitments that come with supporting the workforce of enormous infrastructure companies, including pensions and government benefits, as well as sidestepping accountability during labor strikes. Forcing these companies, which in some cases have changed little in their operations since the days of the late Soviet Union, to function with efficiency that will pass the various litmus tests of international investors is seen to be a necessary step the country must take to develop. Aside from a list of companies under consideration, an unusually low amount of detail has been offered by Kazakh officials on precisely how privatization will proceed. The economic hardships faced by the country during 2014 and 2015 suggest that the primary motivation of privatization efforts is to raise capital for the ailing economy in the short-term and promote increased foreign participation while simultaneously reducing the fiscal burden over the long-term. Even so, the actual value of the state assets being sold off has been doubted, not only by potential foreign investors but also by executives within the Kazakh companies themselves. Despite rampant skepticism, Minister of Investment and Development Asset Issekeshev has insisted that “we are not only going to privatize the big companies, but also the small regional companies. If a company cannot be privatized it will be closed.” But no specific methods of privatization have been declared except in vague statements by Issekeshev, citing that small companies will likely be sold by private auction to the highest bidder, whereas the industrial behemoths like KazMunayGas (KMG) will sell equity stakes to foreign investors and list on a stock exchange. Many of the companies on the list released in 2015 are subsidiaries of larger state-run companies, and in some cases are already listed on exchanges throughout the world. But again, little visibility into the privatization process has been offered and it is unclear how these situations will be reconciled or how foreign investors will participate. Issekeshev has cited the general planning document called “The 100 Concrete Steps Set Out by President Nursultan Nazarbayev” as the de facto guide to Kazakh government strategy, but only two of these steps mention privatization at all. The distinct lack of transparency that has been created by over-planning and goal-setting will have to be addressed if privatization is to be successful. Even if the government in Astana is able to surmount the above political and economic hurdles, the success of privatization will be limited if Kazakhstan does not address a number of corruption-related concerns. The country has long drawn criticism for poor governance, failing to promote transparency, and inadequate legal recourse for international firms that operate within the country. Because of this, the country’s ability to attract investment has been stymied ever since its independence. Even though the Kazakh economy attracted some $21 billion in investment from U.S. firms alone between 2005 and 2014, this is considered to be only a fraction of the country’s investment potential. In the context of the former Soviet Union, Kazakhstan has a comparatively robust legal system, although it still falls well short of international standards. The country’s investment climate is governed primarily by a set of six laws that were implemented between 2003 and 2011 as well as other, sector-specific laws and regulations that mostly apply to companies that operate in the country’s extractive industries. At least in theory, these laws limit the government’s ability to appropriate foreign companies and establish transparency norms for government contracting and sourcing of materials. Notwithstanding the existence of this framework, irregular and inconsistent implementation of the country’s laws and regulatory norms is widespread and a known deterrent to investment in the country. Kazakh government bodies have drawn criticism from investors that consider regulatory implementation to be “arbitrary” and derived from an ambition to coerce bribes from international investors. 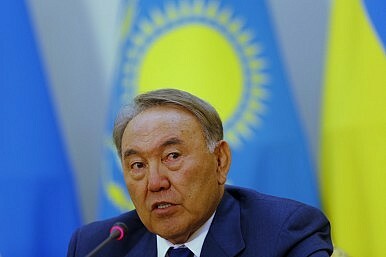 The country’s enforcement of local content requirements has also been inconsistent and the usage of unannounced audits and arbitrary fines to pressure foreign firms into conceding in contract disputes or to pay bribes has been rampant despite a 2014 moratorium on all such practices issued by President Nazarbayev. The ability to address these concerns is also comparatively insufficient in Kazakhstan. According to the U.S. State Department’s 2015 Kazakhstan Investment Climate Statement, Kazakh magistrates and legal workers have a known bias towards the Kazakh government. Courts in Astana and Almaty lack the confidence of international investors despite attempts by the Nazarbayev regime to rein in corruption in the judiciary. Recourse to international arbitration is noticeably absent from existing Kazakh anti-corruption legislation. Even when public-private agreements make explicit a company’s recourse to international legislation, respect for an enforcement of an international judicial decision in Kazakhstan is not always guaranteed. This is due to the government’s reportedly limited definition of what constitutes a legal dispute that can be referred to arbitration. In fairness, these concerns have not gone completely unobserved by officials in Astana. The government there has, for instance, implemented a number of pro-business reforms that have been recognized by various international organizations. The World Economic Forum’s annual “Doing Business” index ranked Kazakhstan 42 out of 140–an improvement of more than 30 places–and lauded the country’s efforts to remove bureaucratic barriers, streamline licensing procedures, and introduce legislation to facilitate and hasten new business formation in the country. Similarly, the country improved to the rank of 77 out of 189 in the World Bank’s 2015 Ease of Doing Business Report. Kazakhstan’s privatization is an ambitious move, and one that speaks highly of the intent of the country’s leadership to modernize and integrate into the global economy. It has made good faith efforts to engage with business partners and foreign governments and to institute pro-business reforms aimed at easing some of the concerns described above. However, privatization will be hampered by complex problems that the government will be obliged to adequately address. While some of these issues, like its dependence on oil and political relationship with Russia, are ingrained and even systemic, the country has shown that it has at least willing to address them. It will have to, if privatization is to be truly successful. Michael Desai is the co-founder of Steppe Dispatches, an online news bulletin focused on Iran, Central Asia, and the former Soviet Union. Eric Wheeler is an associate at The Risk Advisory Group, a global risk management consultancy headquartered in London.